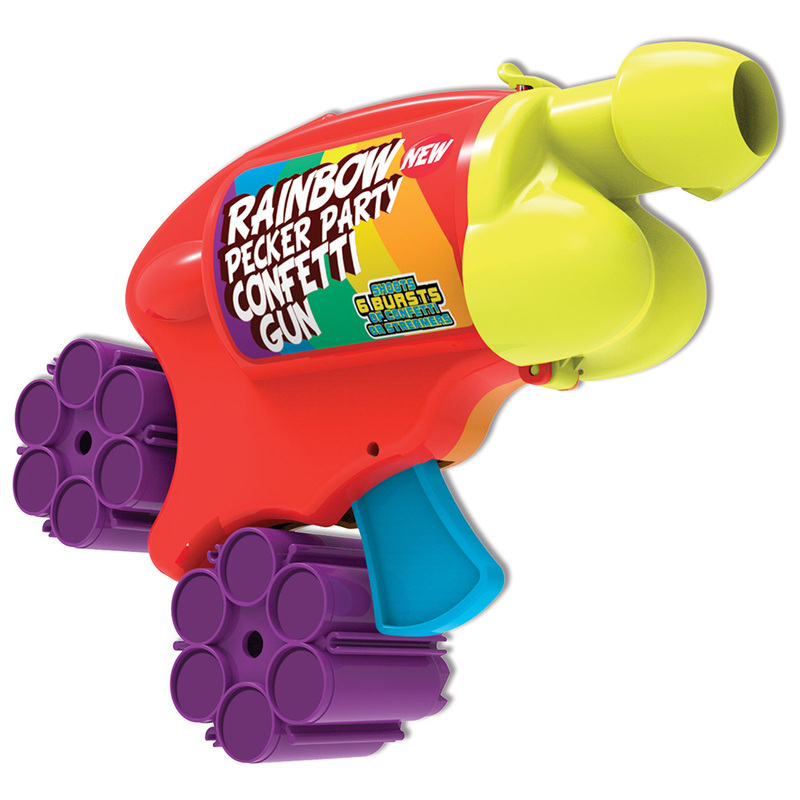 Plastic Confetti Gun – Shoots 6 shots of confetti or streamers from each cartridge – comes with 2 x cartridges. 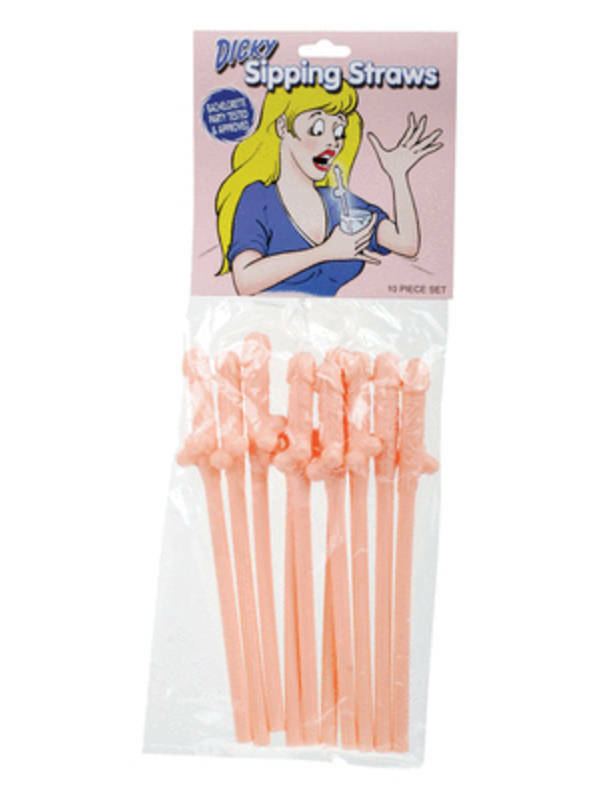 SKU: HP-3201 Barcode: 818631032013 Categories: Hens Night, Games, Naughty Fun, Novelties Tags: Bucks & Hens Nights, Hers, Novelties Brands: Hott Products, Rainbow. 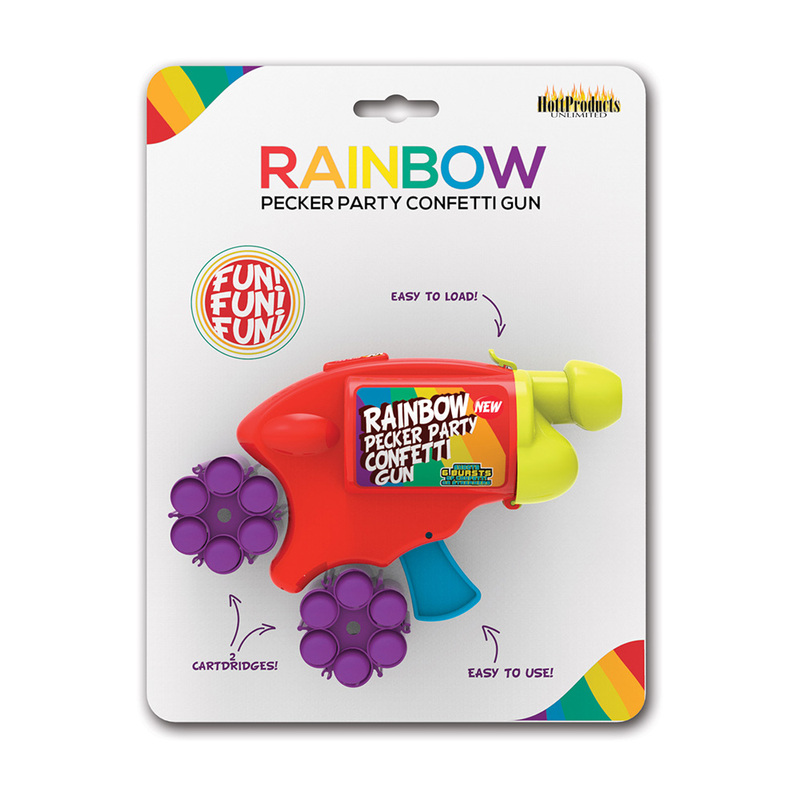 Make your next party a real “Blast” as you blast out a steady stream of Pecker Confetti with the Rainbow Pecker Party Confetti Gun! 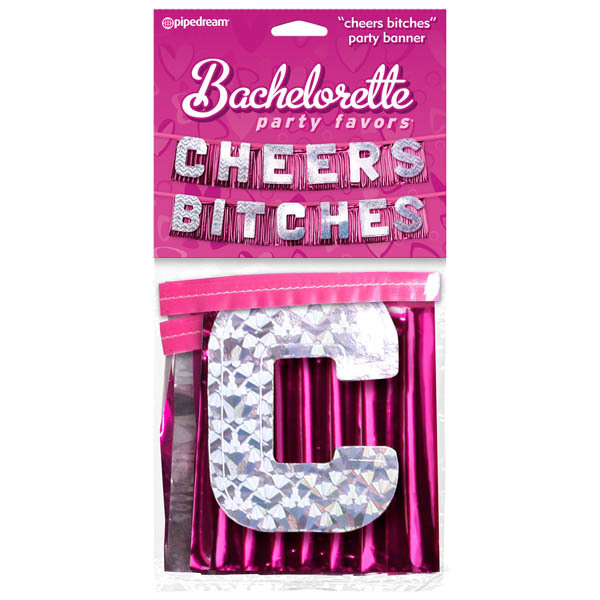 Shiny Rainbow Pecker Confetti willrain down in a hail of Rainbow Confetti fun!